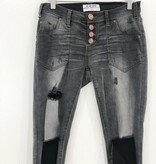 The Freebirds II from One Teaspoon are a best seller. 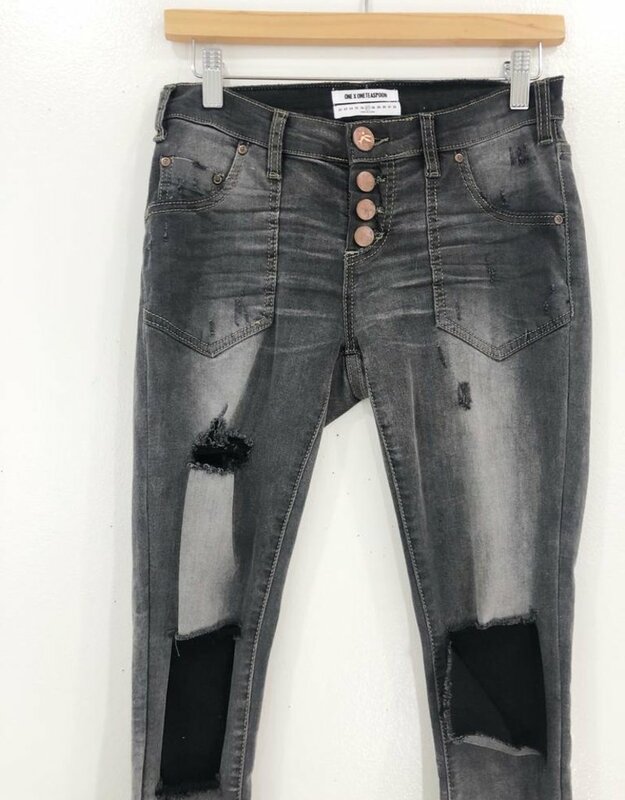 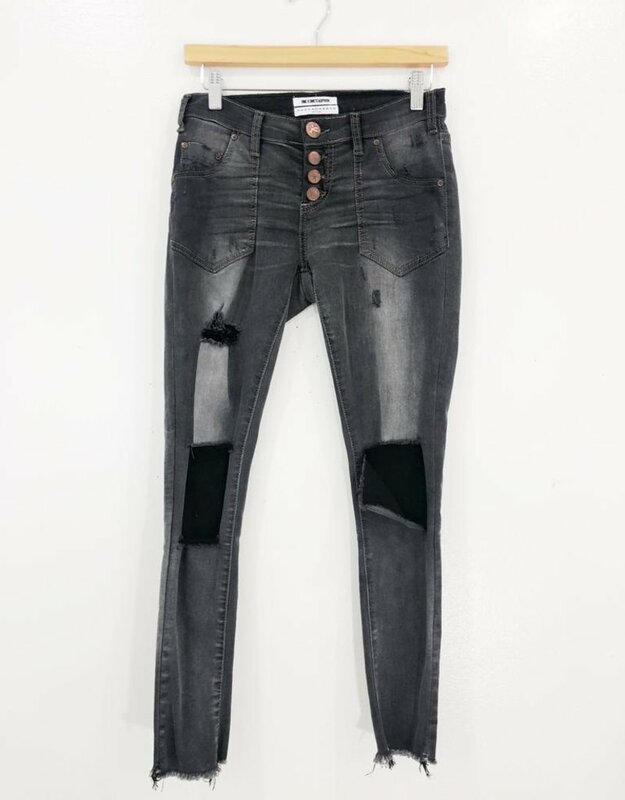 We love the low waist ,stretchy denim and super distressed detail on the legs. 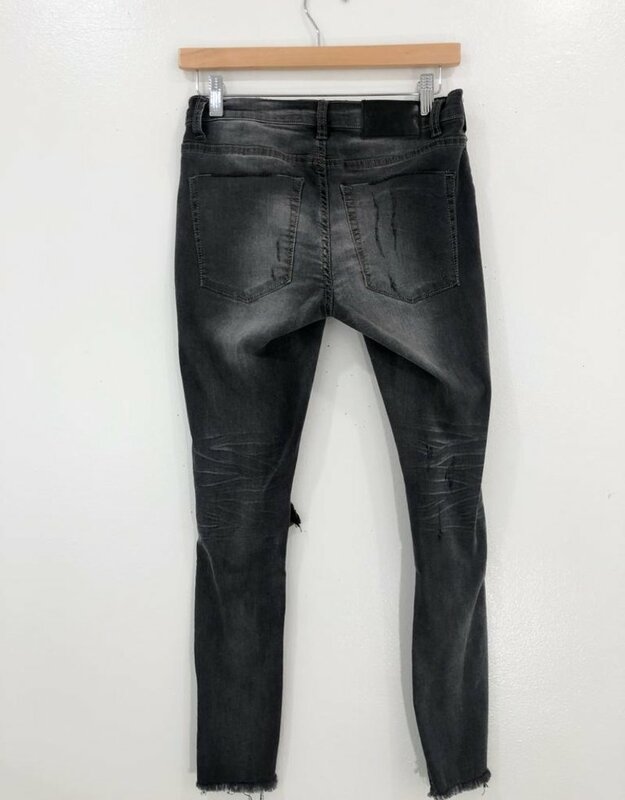 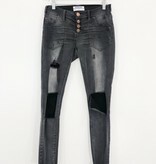 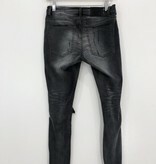 A faded black with raw edge hem adds a fun rocker vibe to these jeans.